"Varsity speaks to Cambridge academics to get to the bottom of why women are so underrepresented in the subject" notes Stephanie Stacey, Varsity Online. Concerns have been raised about the low proportion of female maths graduates. 127 years after Philippa Fawcett became the first woman to top the Mathematical Tripos, women remain largely underrepresented in mathematics, making up only 17% of undergraduates admitted to Cambridge in 2017. Although Cambridge’s admissions statistics may seem particularly shocking, they reflect a broader lack of participation in maths by female students. Even at secondary school level, certain subjects show large gender imbalances, with women making up less than 30% of students taking A-levels in further maths, physics, and computing. The low visibility of women in maths “simultaneously reflects and reinforces the stereotype of these being ‘male subjects’,” according to the Emmy Noether Society, which works to support women studying mathematical sciences. The gender imbalance in mathematics is greater at Cambridge than at most other UK universities, with women making up an 41% of students achieving an undergraduate qualification in mathematical sciences across the UK in 2013/14, according to figures published by the WISE Campaign. 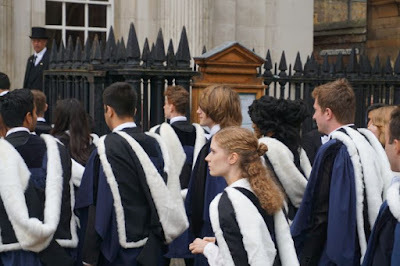 Over the same period, the proportion of female mathematicians graduating from Cambridge was less than half the national figure.